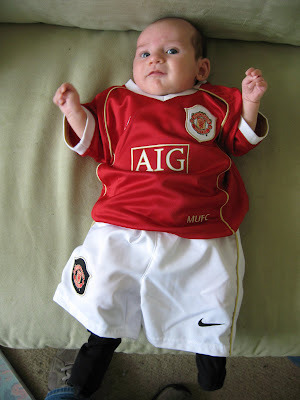 I have supported Manchester United since I was 9 years of age. I went on a school trip to watch the 1977 FA Cup final at Wembley between Man Utd and Liverpool and encouraged by some school friends, decided to support MUFC. As luck would have it they beat their scouse opposition to win 2-1 so my support started off with a flying start. Although the rest of the seventies and the eighties were pretty lean pickings with just a couple of FA Cups to show, the nineties and naughties (otherwise described as the Alex Ferguson era) have been pretty successful. Obviously once you support a club it is with you for life. Through the good times and the bad times. You can't just pick and choose. Unless your my wife Ali. 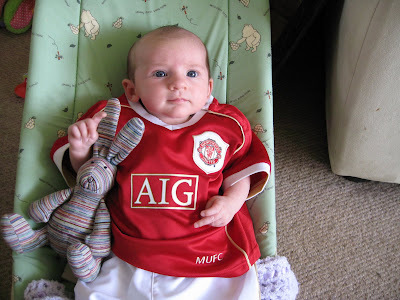 She started off supporting Brentford FC because her first football match was at Griffen Park. However, as soon as Chelsea started being successful she dropped the Super Bees like stone and started supporting Abramovich's plaything. Just because her best friend Lorna is a (proper) fan of the Blues. So what team will Lucy support? Well if Ali had stuck with the Bee's I might have allowed her to become a Brentford fan. 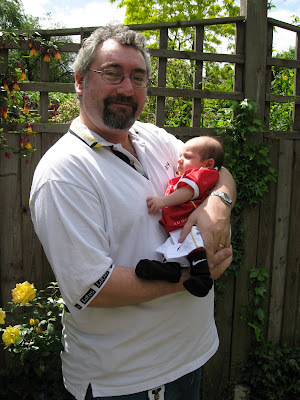 But since her appalling defection I cannot allow Ali to influence Lucy's football choice in way - so I have had to take matters into my own hands. Especially because Lorna is coming over to our house to watch today's FA Cup Final between ManU and Chelski. She still needs to get a bit bigger before she will be running around the park with a ball at her feet. Mind you, I would have considered Lucy in a Chelsea kit just as unsavoury. I didn't see the end of the match, did Ronaldo cry? I do hope so.